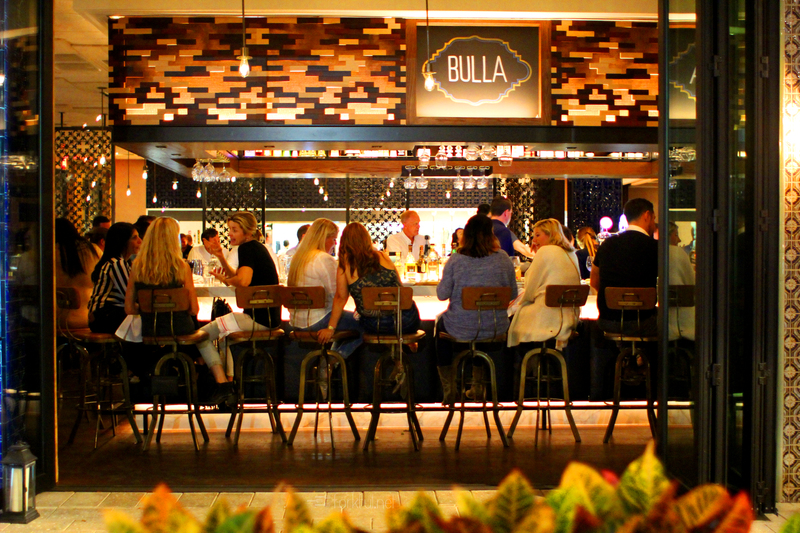 Bulla means noise, usually the kind that happens at a party or celebration. 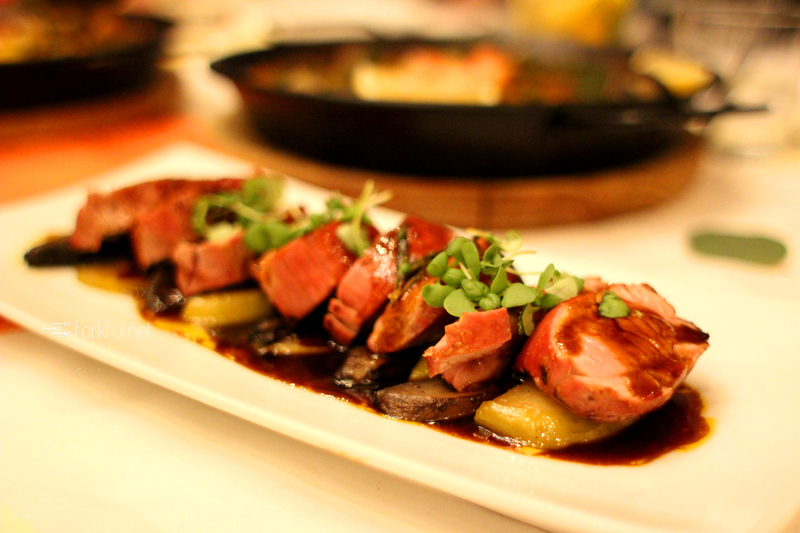 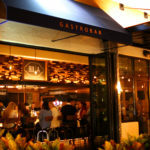 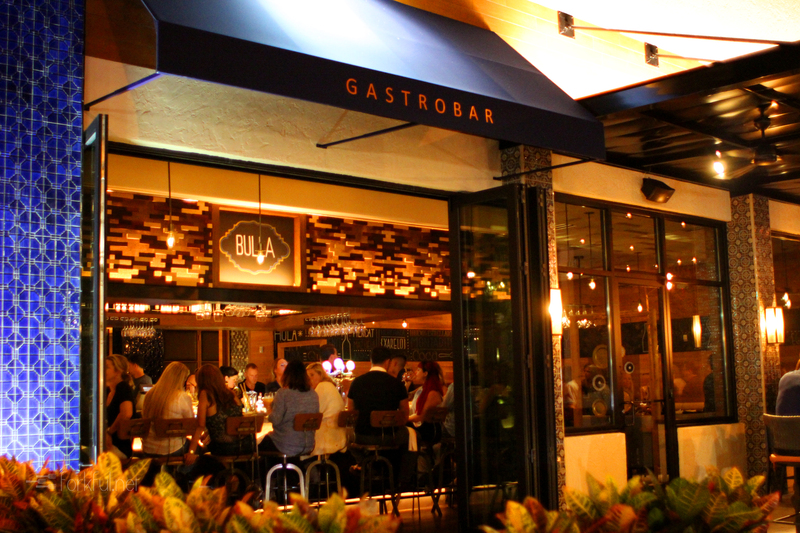 That’s what Bulla Gastrobar felt like—a celebration of Spanish food and culture. 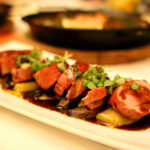 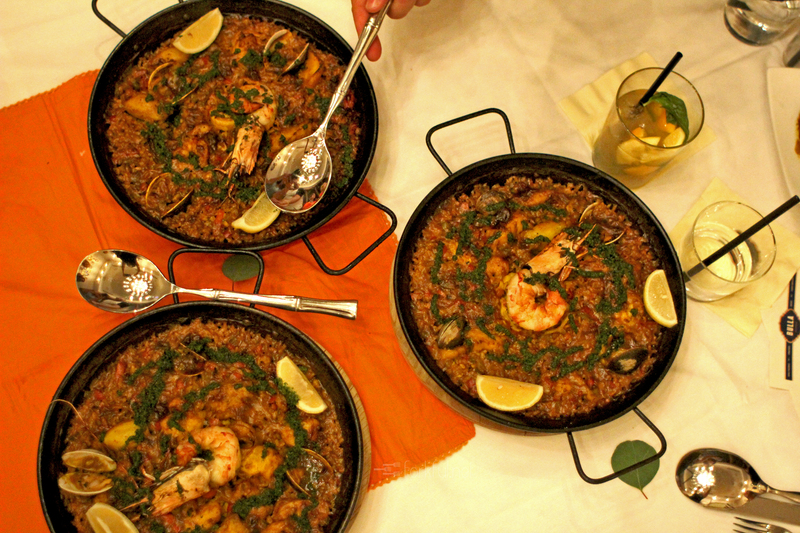 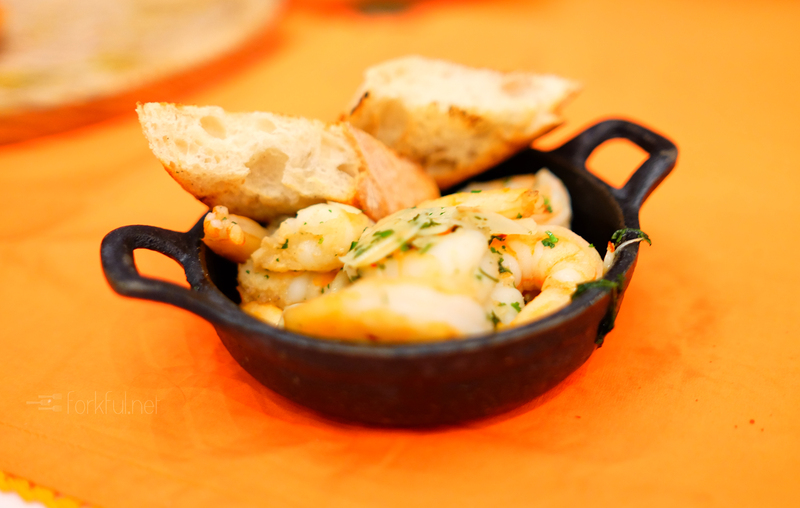 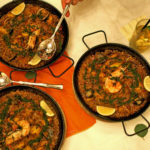 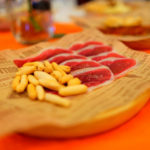 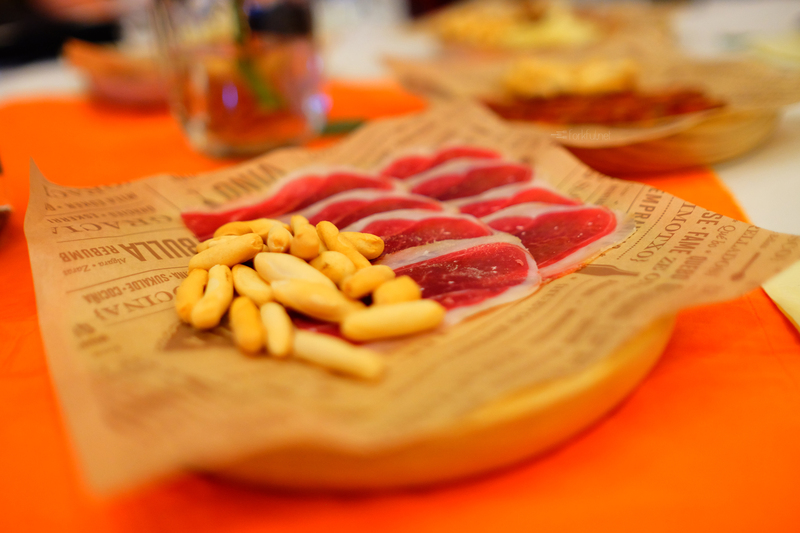 The menu runs the gamut of traditional Spanish eats from Jamón Iberico to prawn-studded Paella. 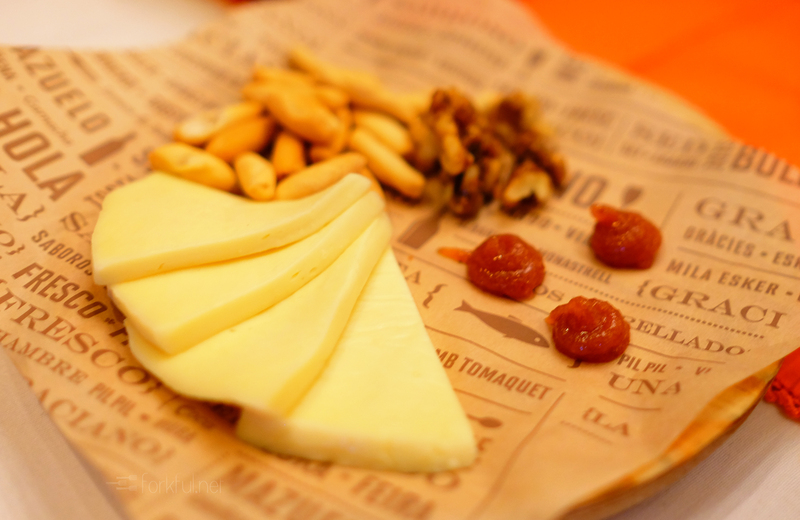 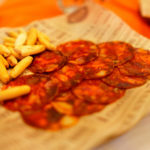 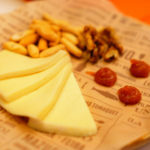 The Chorizo de Bellota (Black foot Iberian pork sausage from Salamanca), creamy Spanish cheese, and house-made marmalade were shared and demolished. 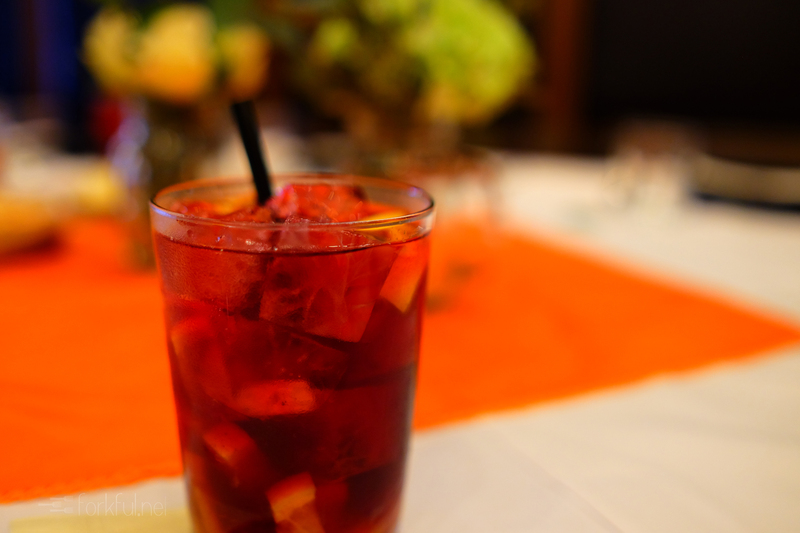 The sangría also started flowing—Mr. 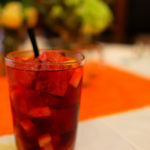 Forkful and I were able to try the tinto, blanco, and sangría de cerveza (La Rubia, St. Germain, lemon juice, pear pureé). 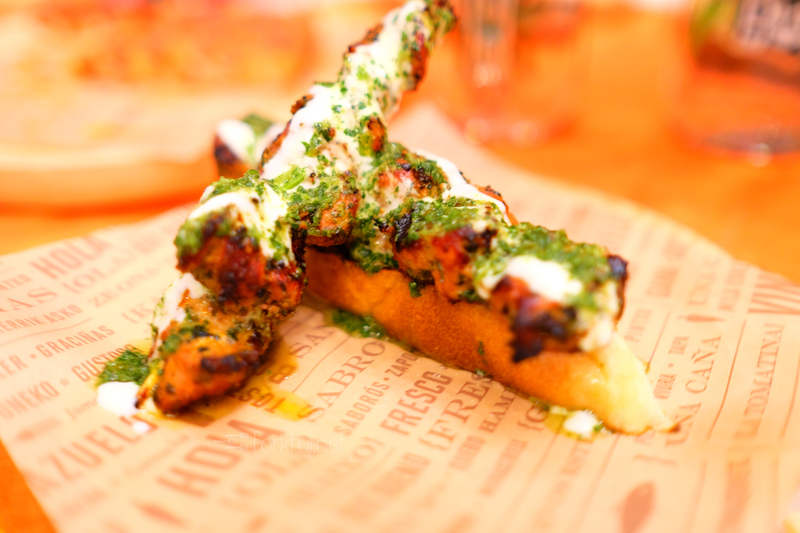 We weren’t expecting to love the beer sangría the most—the herbal kick was thanks to the house-made simple syrups and fresh sprigs. 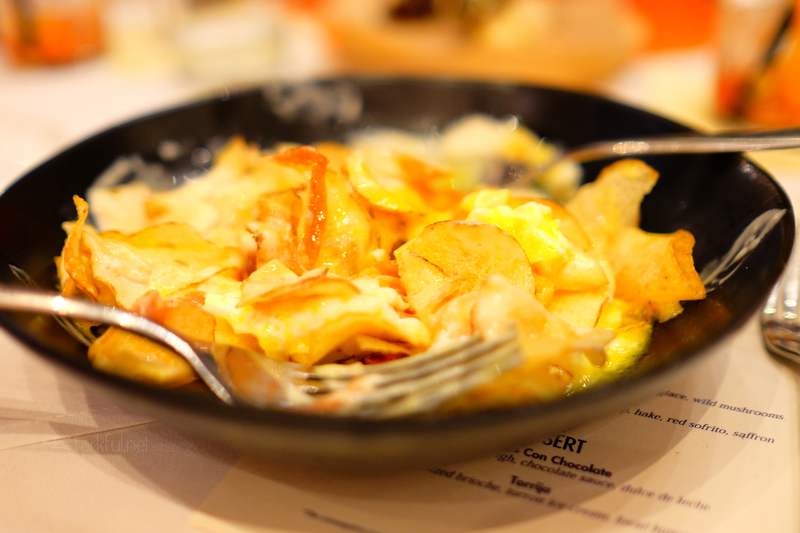 The eggs and paper-thin potato dish was mixed fresh at the table by the chef himself. 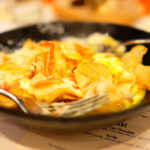 The soft yolks folded easily into the potatoes and Serrano ham creating a level of magic we weren’t prepared for, especially after the truffle oil tickled our noses. The dish could take brunch to another level and could have been an entire meal in itself with the platters of jamón and queso. 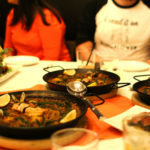 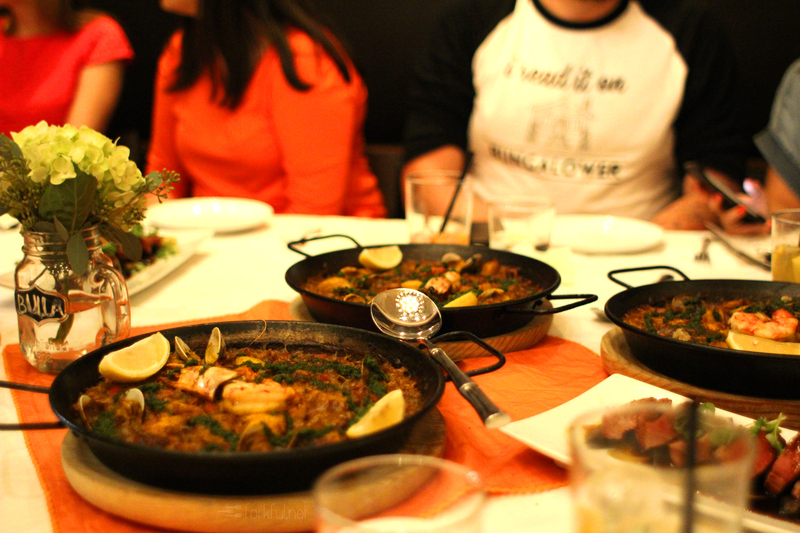 Then the paella hit the table—each skillet was made to individually to order. 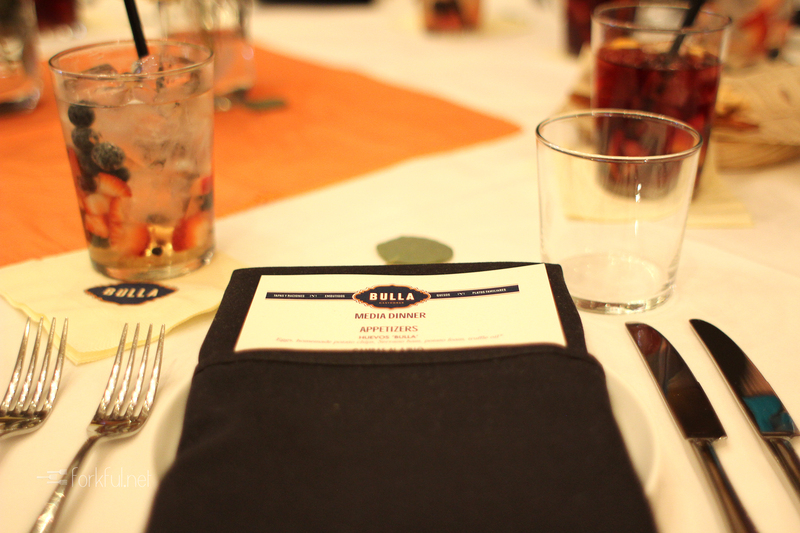 Bulla creates the stock and layers flavor (foremost sofrito and saffron) into each paella as it’s meant to be. 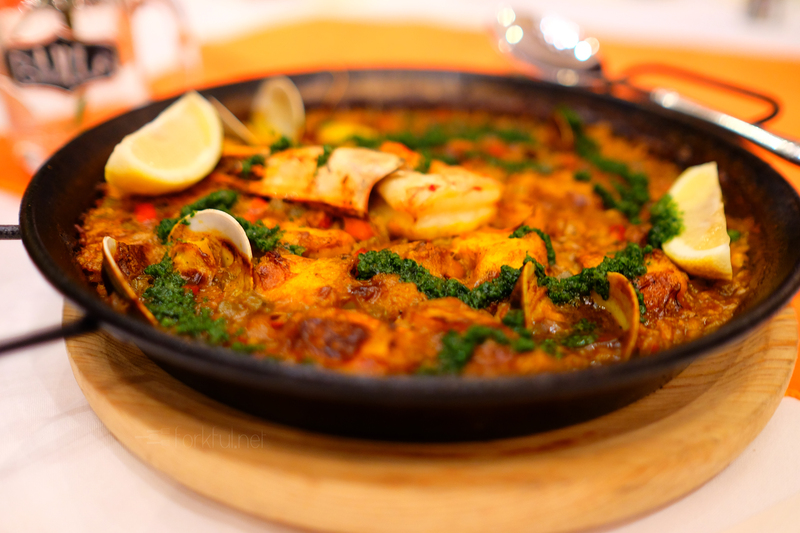 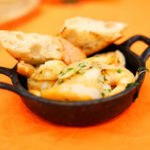 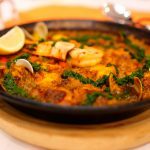 Clams, king prawns, and more jamón stood out the most as they soaked in the herbs and spices. 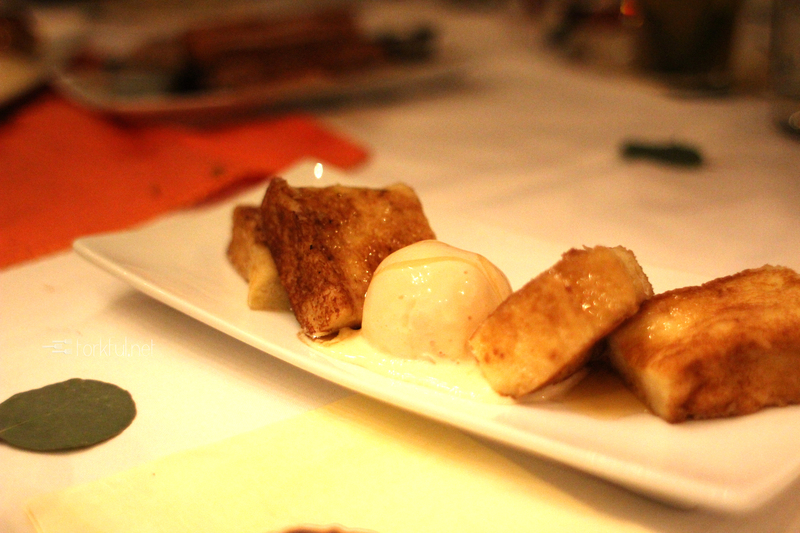 Bulla may be a tapas gastrobar but I didn’t want to share the French brioche toast infused with Orujo (brandy) and vanilla-berry syrup. The simplicity of the honey and toast alongside the white chocolate Chantilly beat the churros con dulce de leche hands down. 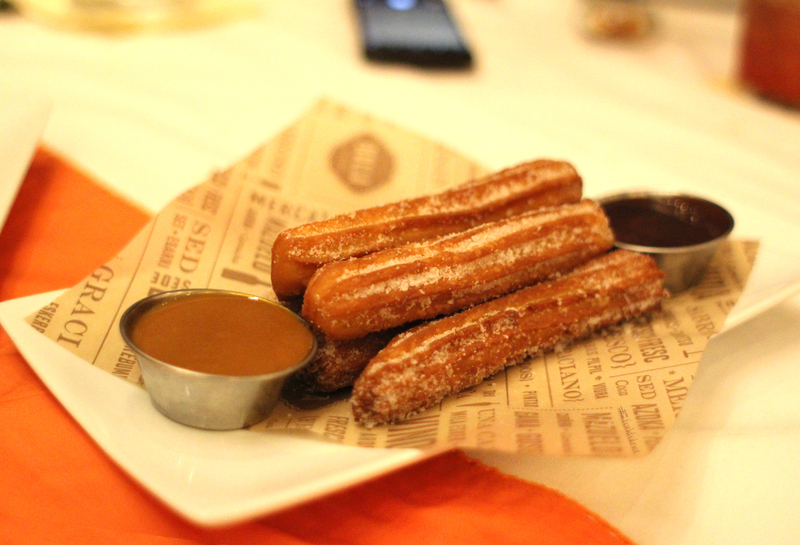 The strategy next time will be to start the night with dessert and drinks. 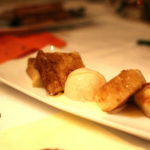 Then, move into a few tapas and digestifs. 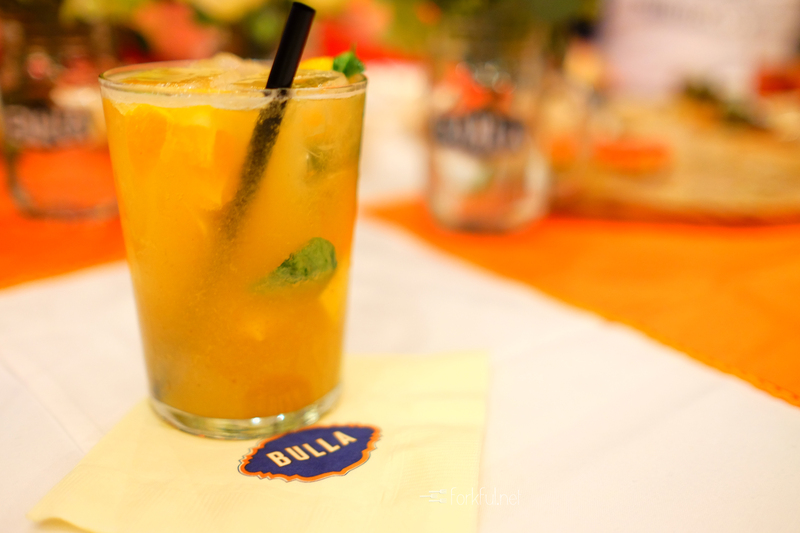 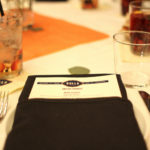 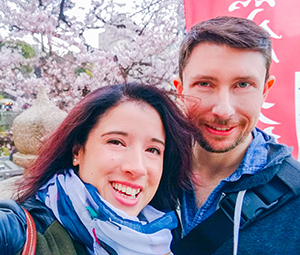 The best part of the Bulla experience? 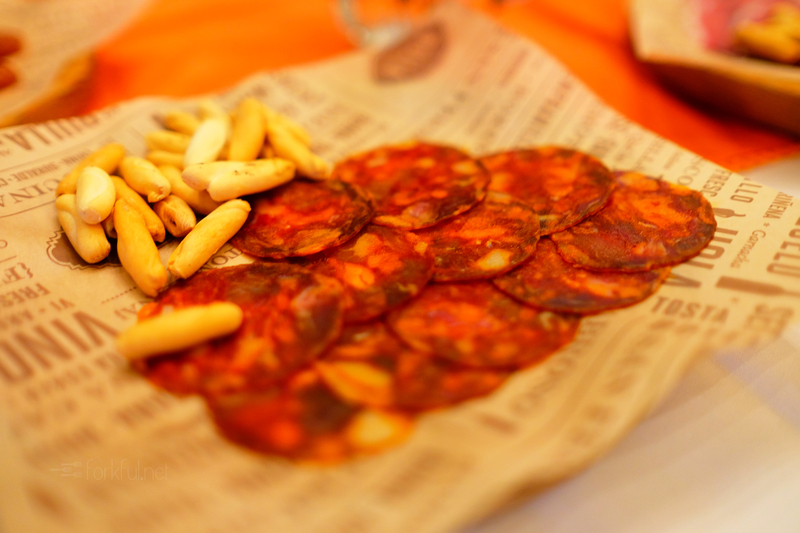 Sharing everything with friends. 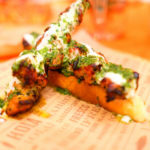 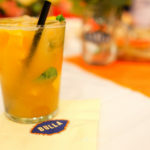 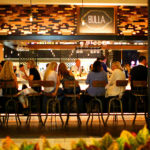 Disclosure: The food and beverages mentioned in this post were provided by Bulla Gastrobar, although the views and opinions expressed in this post are purely my own. 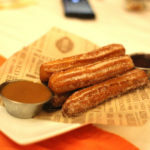 This post was not reviewed by anyone else in any way.